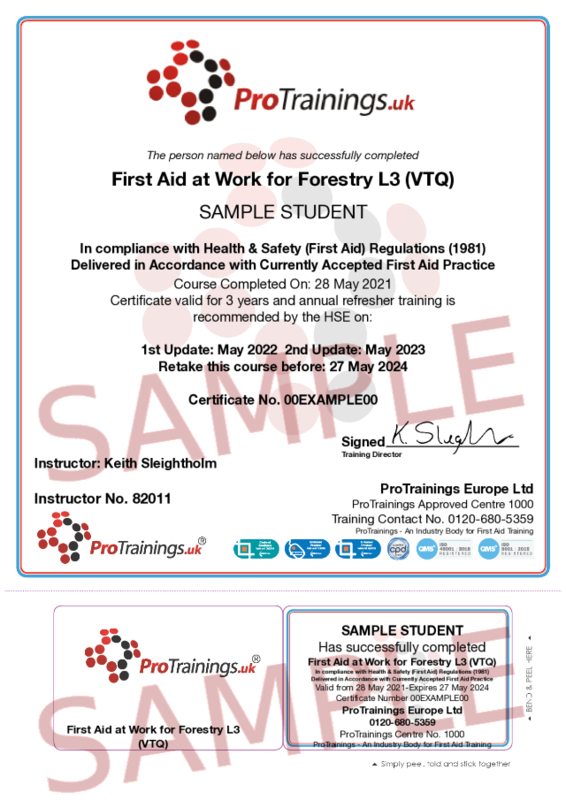 This version of the First Aid at Work for Forestry Level 3 (VTQ) is for those who have already completed the online part and now you need to complete the second practical part locally. The ProTrainings First Aid at Work Level 3 (VTQ) qualification (FAW) is ideal for most businesses whose risk assessment has identified that they require a fully trained first aider for their workplace. All courses are delivered, evaluated and quality assured to meet the new guidelines set out by the HSE in October 2017 and meet the requirements of the First Aid at Work (First Aid) regulations 1981 and subsequent 2017 changes.